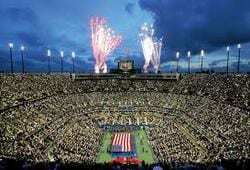 Now is the time to get your Buy Two, Get Two Free US Open Arthur Ashe Kids Day tickets! Sat, Aug 25, 2018, the US Open offers a ton of activities and giveaways, like caps, wrist bands, tennis racquets and face painting for kids 14 and under. So go ahead and get your FREE US Tennis Tickets today!